Twill fabric is 50% Cotton / 50% Polyester. 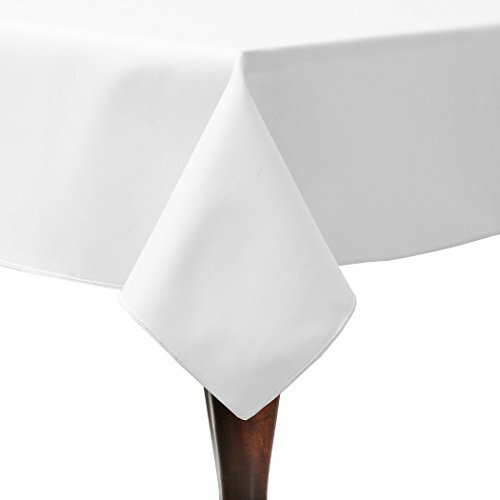 Soft and luxurious while woven for performance, this tablecloth resists wrinkles and stains. Perfect for weddings, restaurants, receptions, parties, catered presentations, bridal and baby showers, birthdays, buffets, dessert tables and more. Due to variations in computer monitors, colors shades may vary in appearance from screen to screen. Please search Ultimate Textile for matching and complementary items in all shapes and sizes.